Many boat buyers are interested in getting a reasonable loan and finance to buy their boat. This is less common in Asia compared to the western countries where leisure boating is a common activity enjoyed by people of all classes. If you are looking for a boat loan in Hong Kong, you can approach local banks loan department and negotiate a deal with them. If you have your own contacts its even better. But we normally recommend our customers to approach Orix Asia finance company to get boat loans. 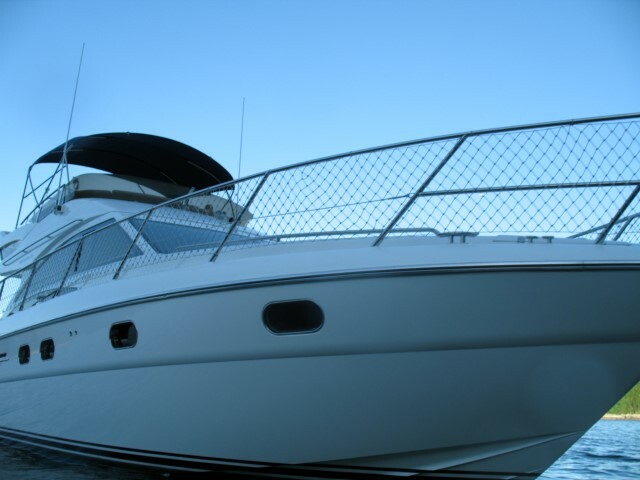 One of the reasons is because some specialized finance companies have the experience of financing for boats. They can understand the value of boats a lot better than a conventional bank. The valuation of luxury yachts is a complex issue. Like an apartment it also depends on the size, volume and functionality and like a car it depends on its brand name, technical features and design aspects. Easiest boat loans are for new boats. Because the price is a straight forward list price that is same all over the world and the condition of the boat and all machinery is assured to be new. The boat is also under warranty to its safer for the finance company to give out loans. As the boat gets older, the valuation gets more and more difficult depending on the boat’s condition. The finance companies are surely not interested to get a survey and hire a professional boater who can understand the liquefiable value of the boat. Usually for a new boat, the loan that is offered is 70% to 80% of the boat’s price. The period is from 5 to 15 years. The interest rate of course keeps changing so it can be as low as 2.5% to 6% depending on the prime rate and international bank interest rates. The customers in Hong Kong looking for a loan normally have to adhere to rules and provide many documents and financial records so that the company can understand their risk. Merely having a big office and telling the company that you are the boss of a big company etc is not enough. The documents that the companies require needs to be provided for them to do their risk assessment. We have experience of some bosses of big companies getting very angry when asked to provide their financial documents etc. So if you are not prepared to be open then the process of getting a boat loan is going to be difficult for you. One more thing to understand about boat loans is that, there is a funny condition when you are ordering a new boat. If you are ordering a new boat that is to be built and delivered in a few months. Then the payment is to be made by the buyer. The loan company will not provide you the finance. This can be negotiable but with many difficult terms. Normally the customers end up paying the full amount first, when the boat arrives in Hong Kong and after it is licensed, then the finance company reimburses the 70% to the customer and the loan repayment starts. But if you are buying a used boat, or a new boat that is already in shipped in Hong Kong by the boat dealer and kept as stock. The boat loans are much easier that way, because its already delivered and the amount is readily available. But for big boats over 40 ft, normally sensible yacht dealers will not buy stock boats because the depreciation is very fast, the maintenance is very high and people normally have slightly different requirements than the boat that you are holding. Also, dealers put themselves in desperate positions after buying stock boats if they cannot sell. Making them settle for losses. I hope you found this article helpful about boat financing.